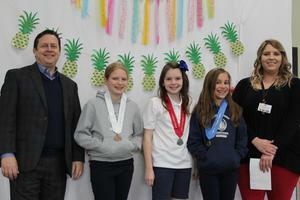 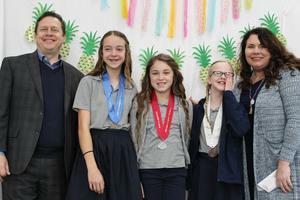 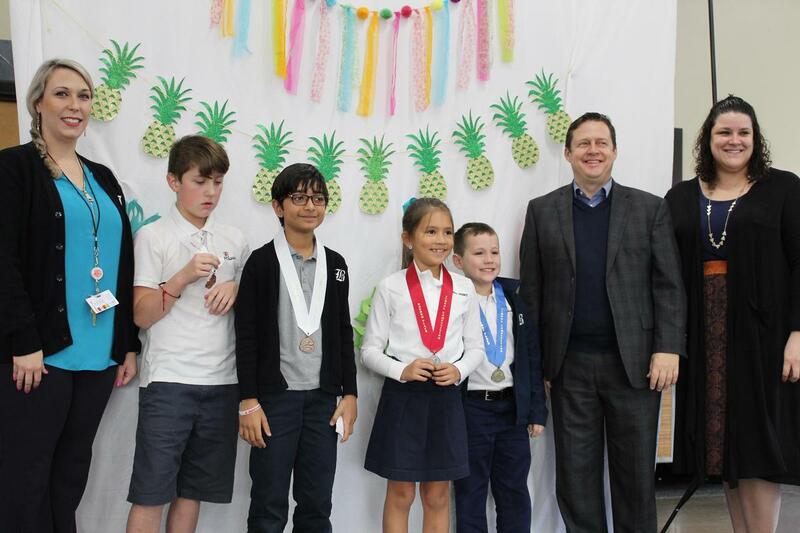 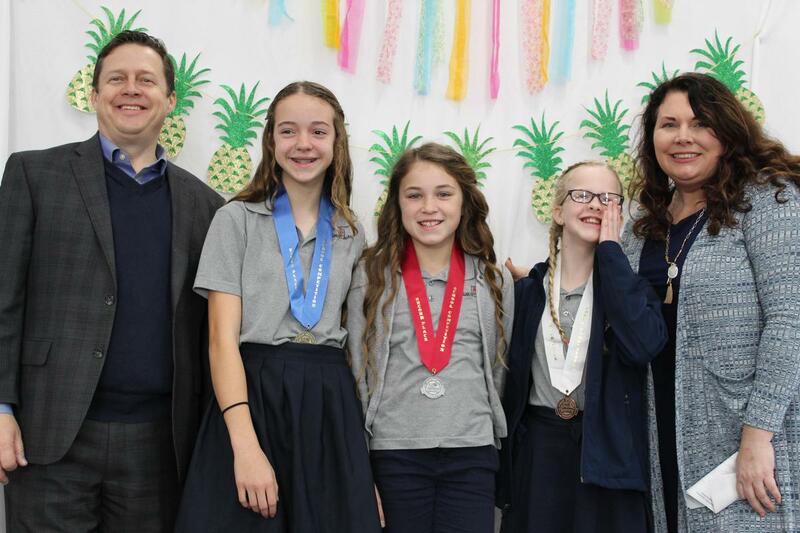 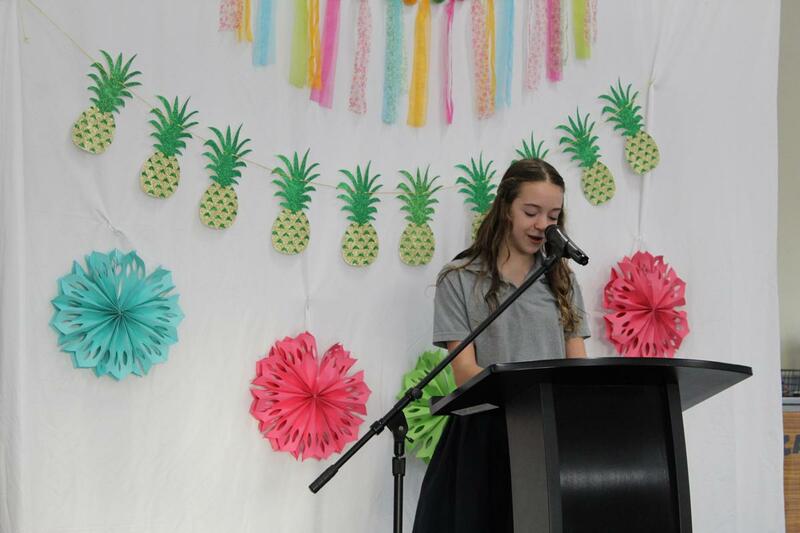 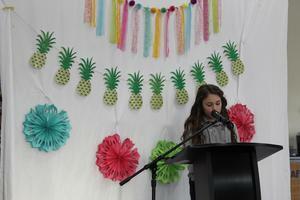 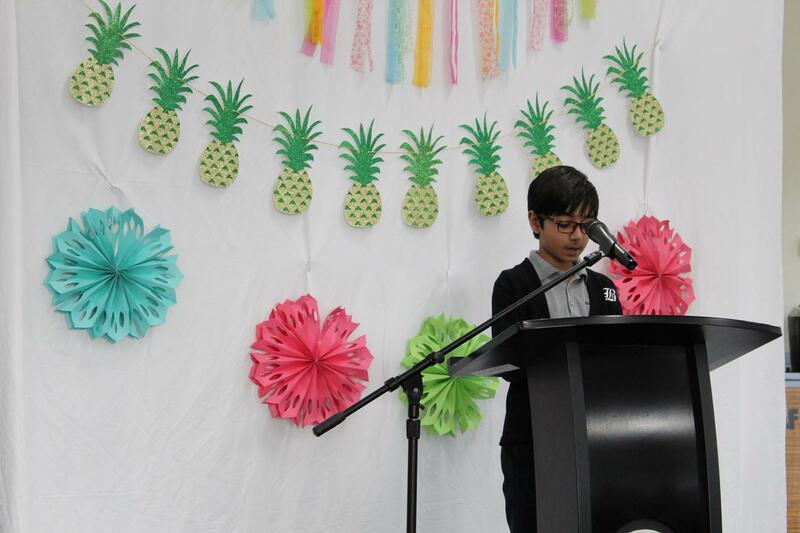 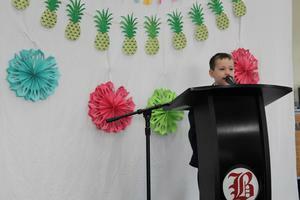 Belmont’s top fourth, fifth and sixth grade writers from each classroom, competed in the Belmont Tropicana Speech completion Monday, with first place winners going onto the county competition. 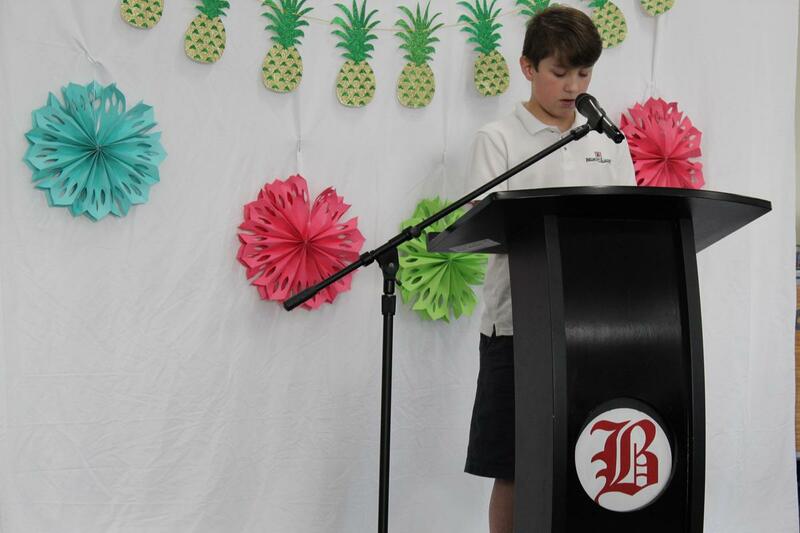 In recent weeks, teachers in fourth, fifth and sixth grade, set aside a portion of their classroom time to help students research, organize, practice, present, and critique speeches, based on topics of their own choosing. 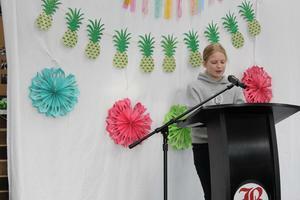 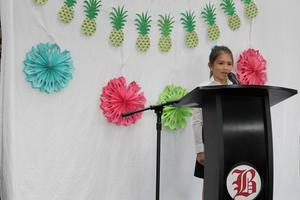 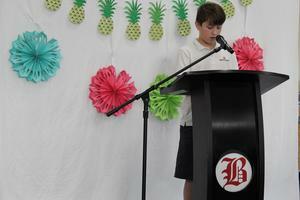 Students had the option to pick topics that ranged from serious, humorous, educational, persuasive or inspiring. 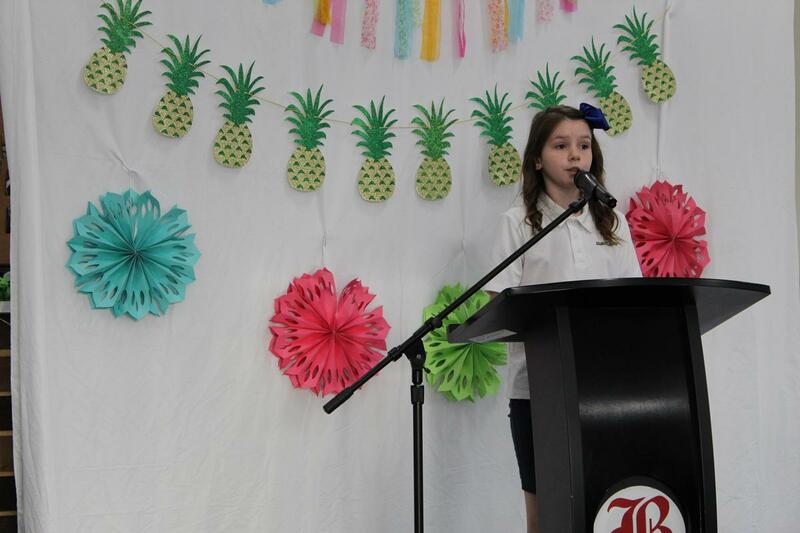 In this writing experience, children expressed thoughts and feelings on an issue most important in their lives and competed for the chance to be recognized at the school and county level. 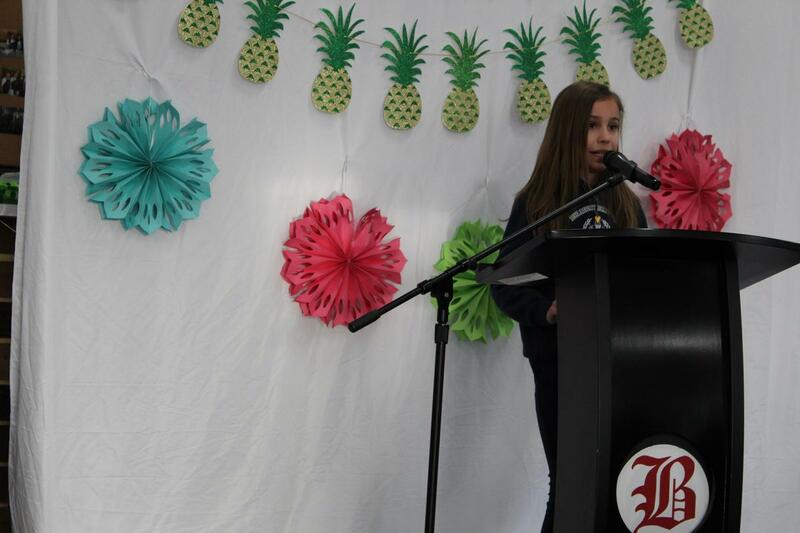 1st Vanessa Todd - Music is Amazing! 2nd Calleigh Strait - Showtime! 3rd Clara Barker - Do Video Games Melt Your Brain? First place, school level winners will advance to the county contest. 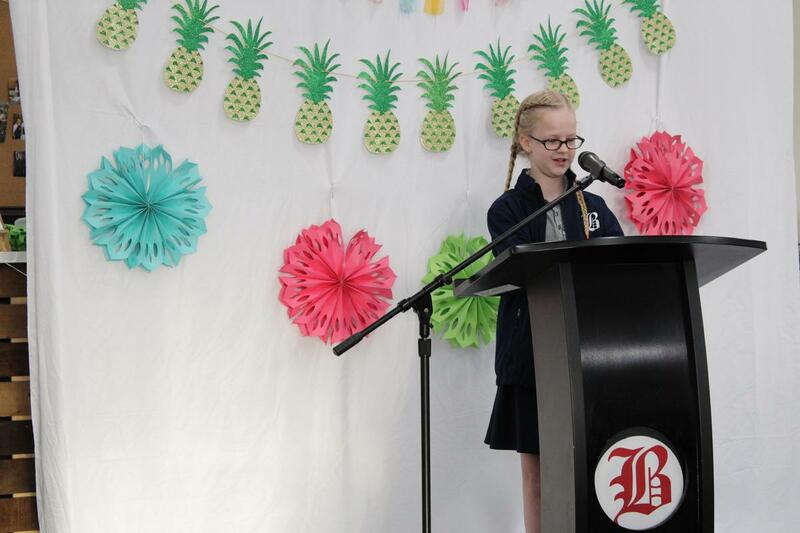 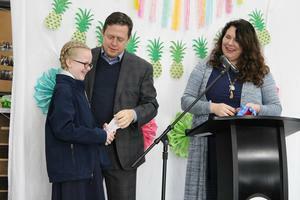 Keep reading future issues of the Belmont Weekly News to get the scoop on the county competition and more exciting Belmont Academy Charter School news.